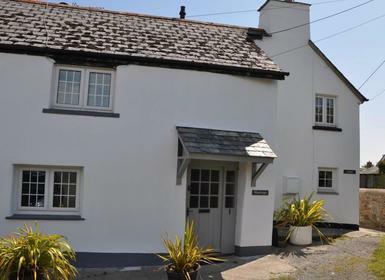 This 300-year-old farmhouse is located in a village farm and shares the grounds with a small collection of child-friendly cottages and barns. 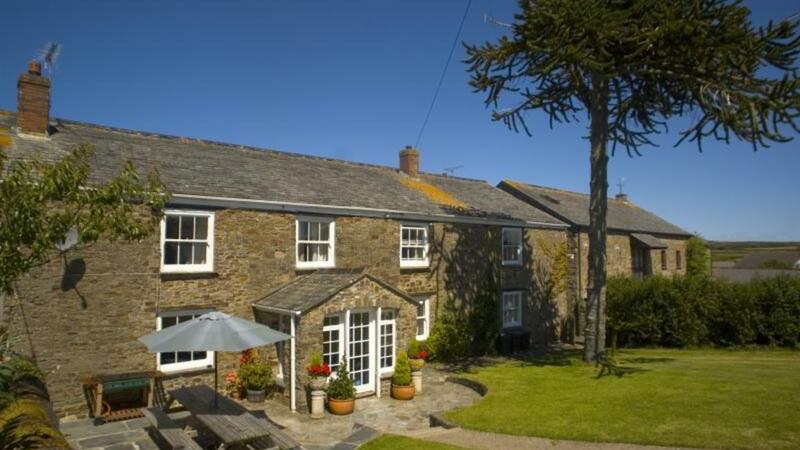 The farm is located in a small village and is only 2 ½ miles from Cornwall’s sandy beaches. 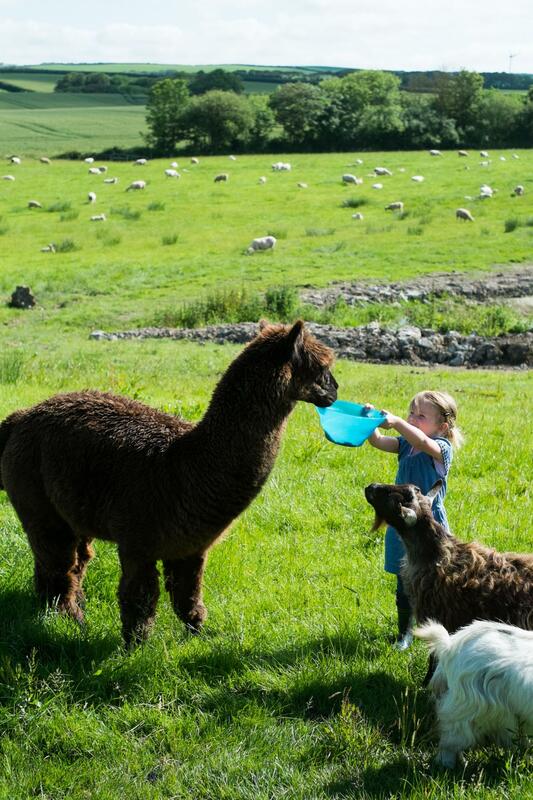 Let the kids pop their wellies on and help collect eggs, feed the two pet Pygmy goats and Kunekune pigs, and pet the alpaca. 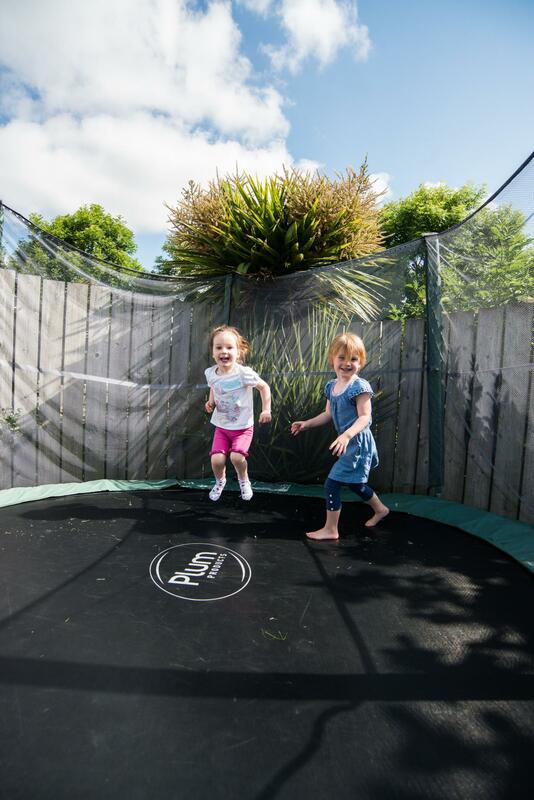 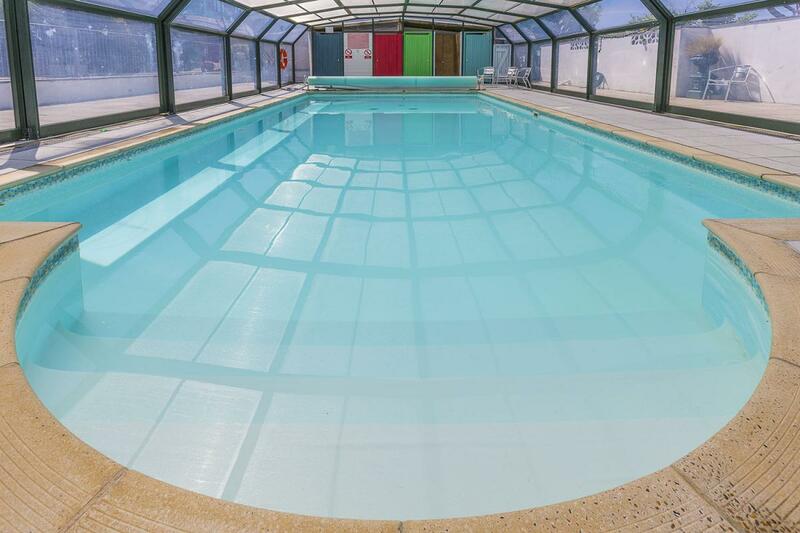 If the weather isn’t great take advantage of the indoor swimming pool or games room with its soft play area for babies and toddlers and pool table for older children. Adults can also take time out enjoying a luxurious spa treatment in the onsite treatment room. 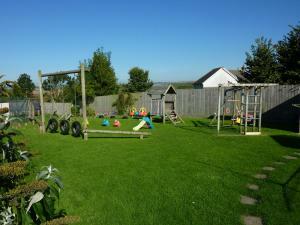 Other facilities include outdoor play area, tennis court, Yoga and swimming lessons. 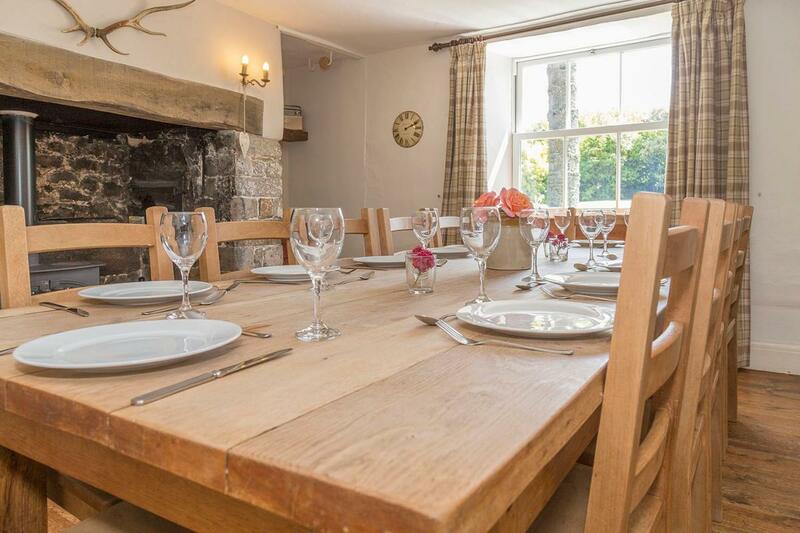 The owners can also help arrange group activities such as: wine-tasting evenings and vineyard tours, workshops and crafting classes, spa weekends, clay pigeon shooting or archery, murder mystery and casino events and can also arrange private catering too. For a great day out why not hire bikes (available with child seats and tagalongs) and cycle along the canal through the coastal town of Bude. 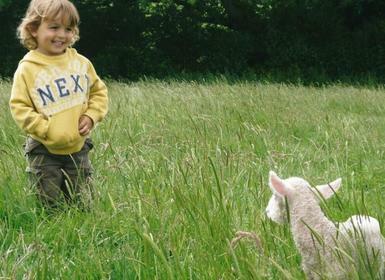 For more inspiration for a family-friendly day out take a look at our Tots Top 10. 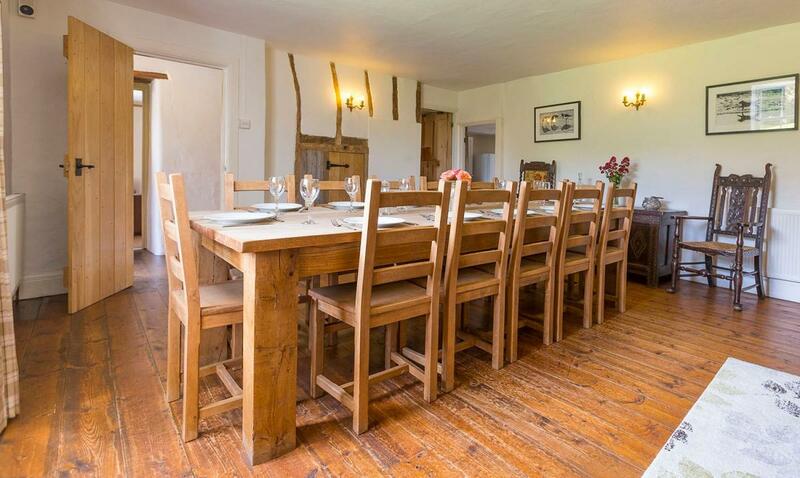 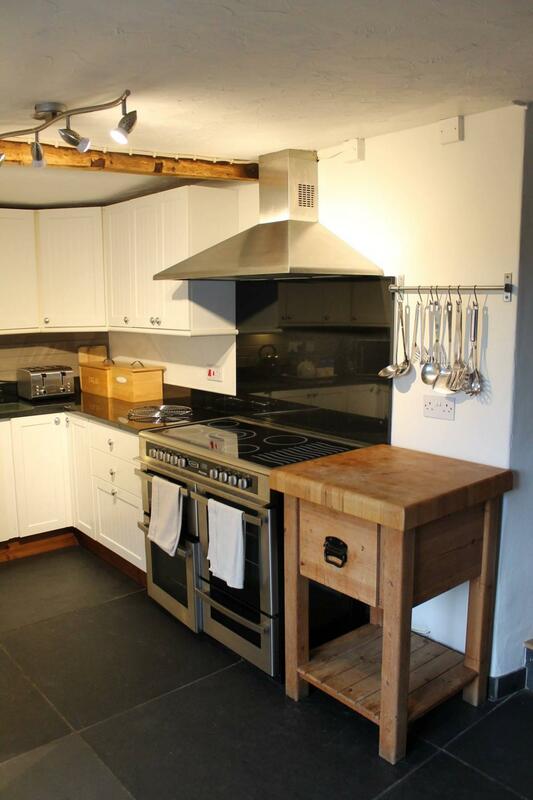 This charming court farmhouse is over 300 years-old and has six bedrooms, accommodating up to 12 people. 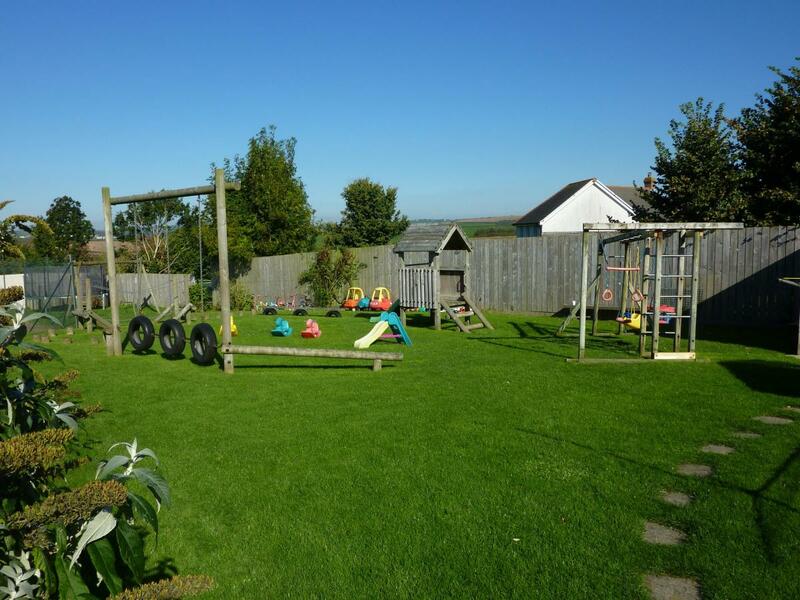 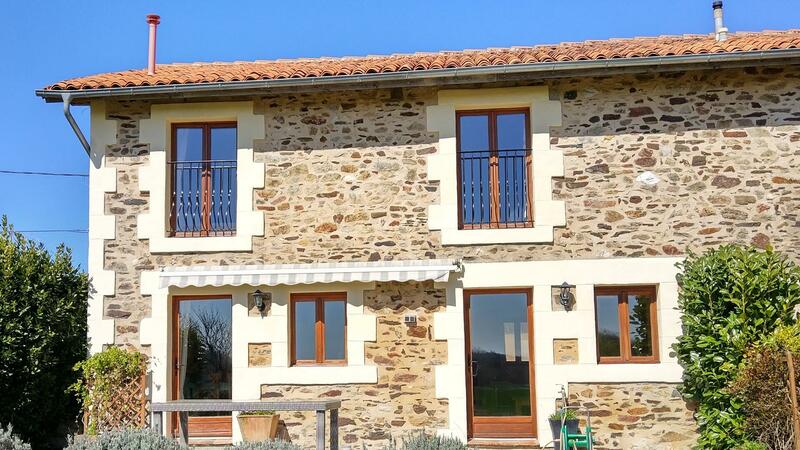 It is situated in the heart of the farm complex and has its own private enclosed garden with patio area. The ground floor entrance hall has room for coats, wellies and pushchairs. There is an internal door with a step down that leads to a small hallway which leads to the lounge with wood burner, sofas and dining room (also with wood burner and large dining table). 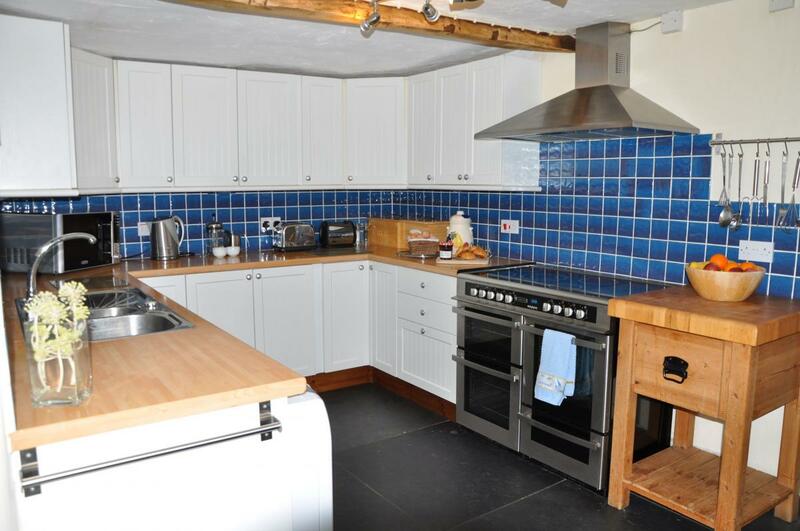 A further two steps takes you through to the kitchen with double range and larder fridges ideal for larger groups. 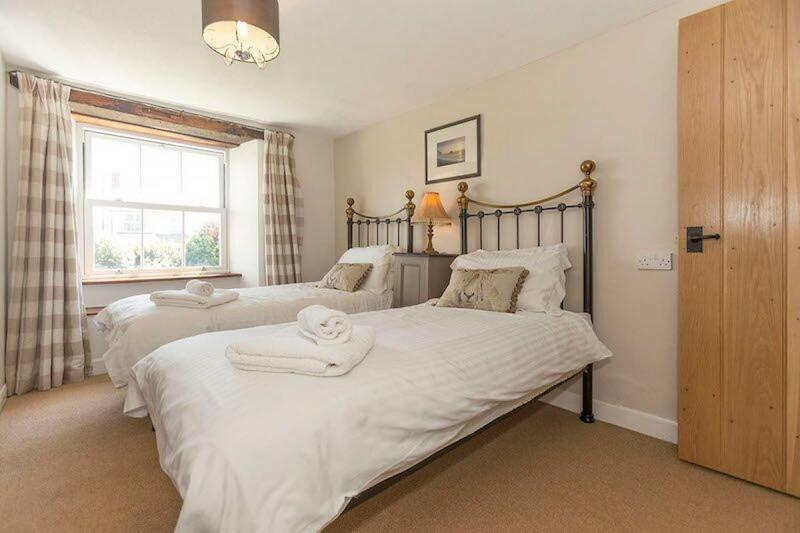 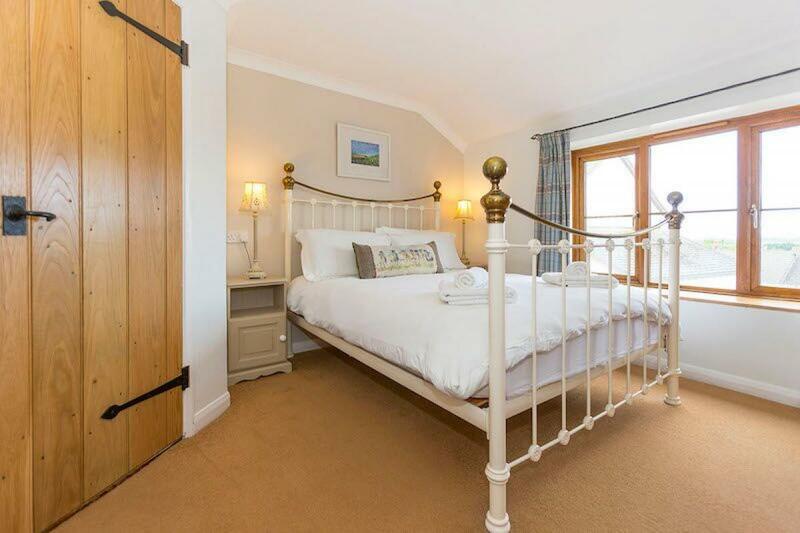 On the first floor you will find the large master bedroom with private bathroom with over bath and shower – this bedroom is set slightly away from the other bedrooms and has enough room for a cot. 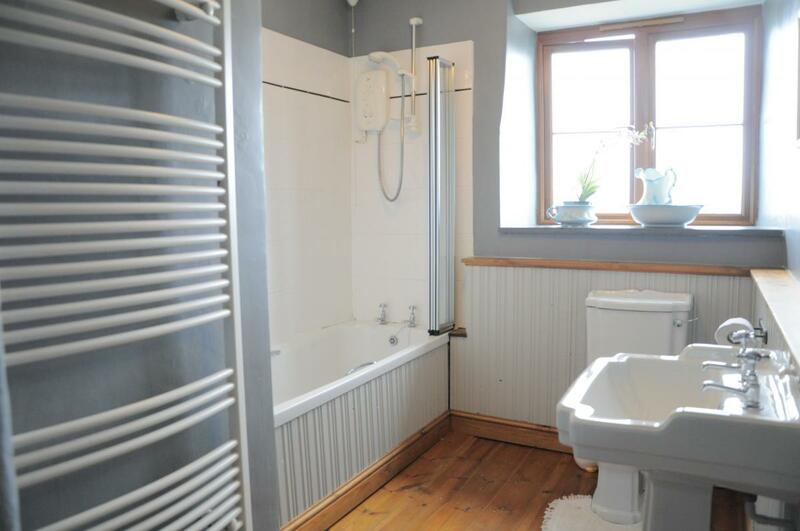 There is also a wall mounted flat screen TV. There are an additional two double en-suite bedrooms with room for a cot. 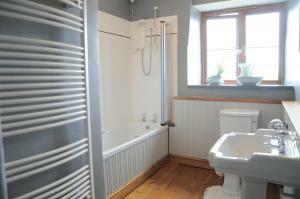 There are three twin rooms, two of which have en-suites and there is also a family bathroom with over-bath shower. 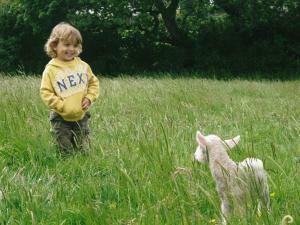 A wide range of child friendly extras (e.g. cots, highchairs, booster seats, potty, changing mat, etc) available to book free of charge.We ask for 25% deposit to secure a booking with the balance payable 6 weeks prior to arrival. 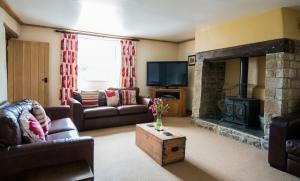 Wood burner and free log supply, private enclosed garden. 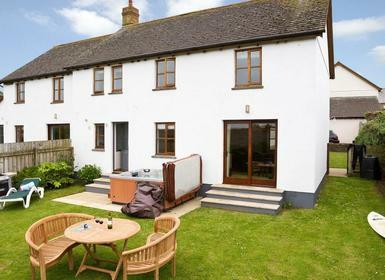 Farmhouse located in local village with private enclosed garden. 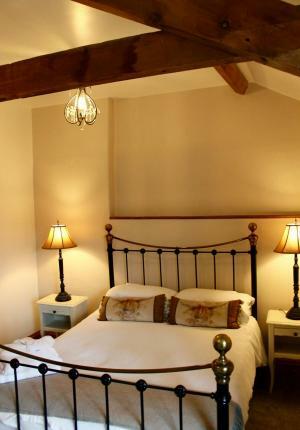 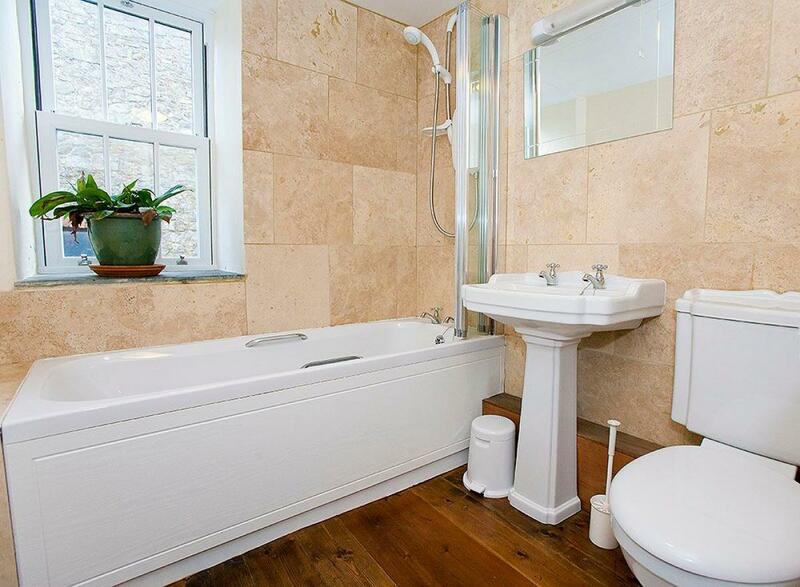 Six bedrooms – five of which have en-suites, plus is also a family bathroom with over-bath shower. 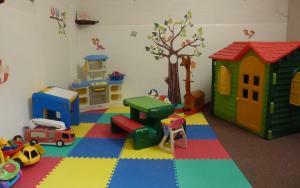 Games room with soft play area. 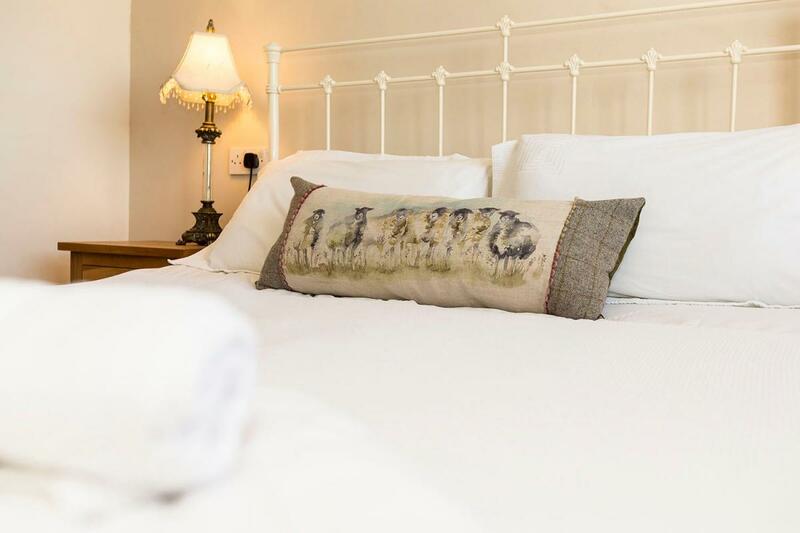 The farmhouse is part of a 500 acre farming operation and has been in the owner’s family for generations. 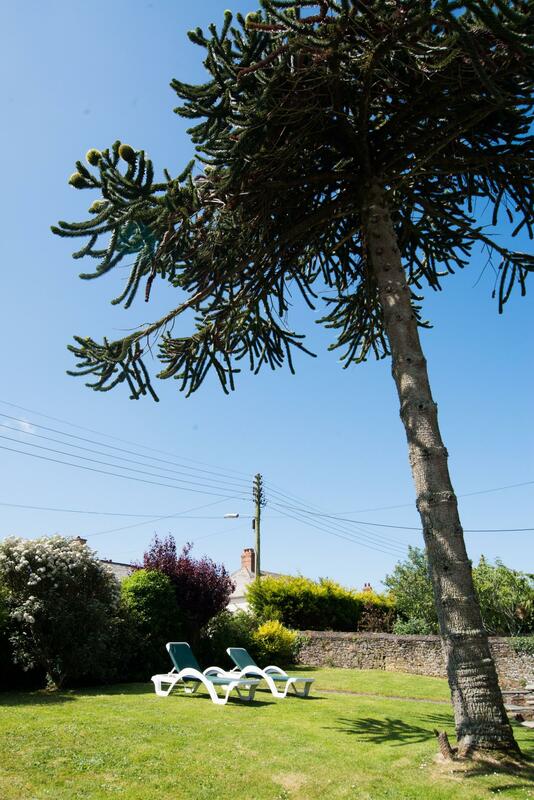 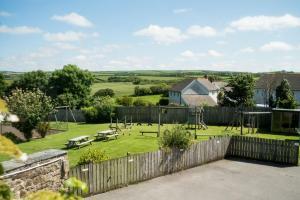 Village location with its pub offering a locally sourced menu and just 2 miles to Bude. 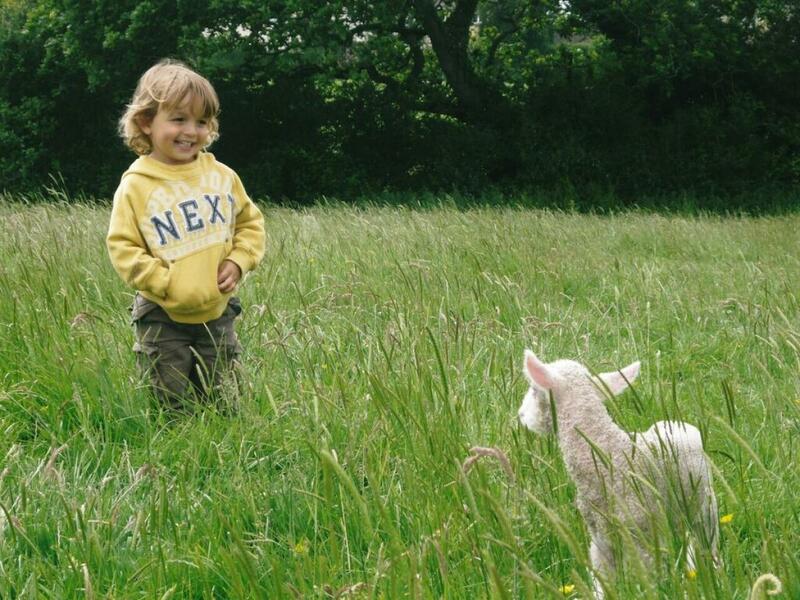 North Cornwall has so much to offer families. Sandy beaches can be found just 2.5 miles - perfect for rock pooling or sand castle building. 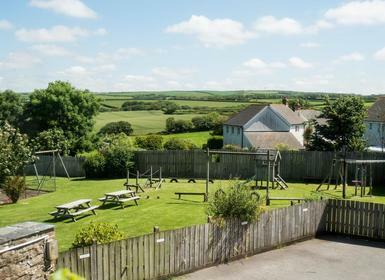 Three-storey converted barn set in a secluded corner of this family-friendly farm stay in North Cornwall just 2 miles from Bude.